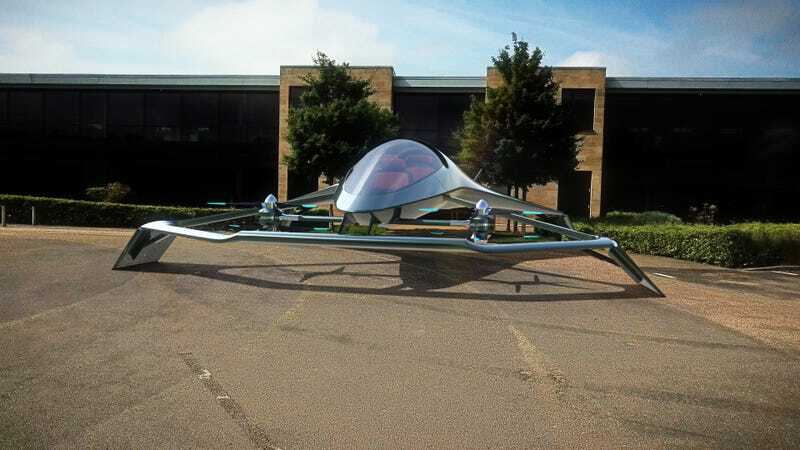 Ever-grounded and never-pretentious automaker Aston Martin is enlisting the help of Cranfield University, Cranfield Aerospace Solutions and jet-engine manufacturer Rolls-Royce to explore a flying car concept that will simply never happen. The idea is to design the future of “personal air mobility,” which will allow the automaker to generate hype and look forward-thinking without actually having to rely on a product or reasonable market strategy. In doing so, they developed the Volante Vision Concept. The fanciful vehicle represents the gold-standard in nonexistent flying cars, with the announcement containing everything you’d expect. There’s no price. There are only renders. There’s no on-sale date. There’s a weird pod shape with sleek-looking wings. There’s a promise of electrification. There’s a promise of autonomy. There’s absolutely no basis in reality. While it’s great to imagine a world without traffic, it’s less pleasant if you replace that with swarms of glorified helicopters blocking out the sun. Plus, an experience-oriented grand touring and sports car company like Aston Martin is not particularly well-suited for this flying autonomous future that isn’t happening.